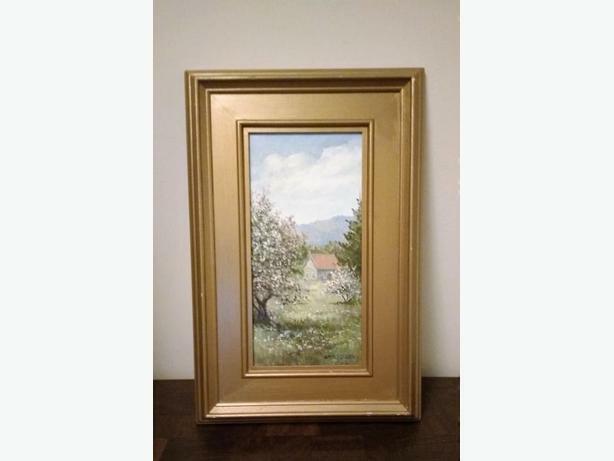 The painting measures about 5 1/2" x 11 1/2" and the frame is about 11 1/2" x 17 1/2". Oil on canvas. The frame has a few marks. See my other ads for more good quality items, collectibles and antiques.